First published by St. Martin's in 1958, Robert Traver's "Anatomy of a Murder "immediately became the number-one bestseller in America, and was subsequently turned into the successful and now classic Otto Preminger film. For the twenty-fifth birthday of a work that is not only the most popular courtroom drama in American fiction, but one of the most popular novels of our time, St. Martin's is proud to introduce this special anniversary edition, with a new introduction by the author. A gripping tale of deceit, murder, and a sensational trial, "Anatomy of a Murder "is unmatched in the authenticity of its settings, events, and characters. This new edition should delight both loyal fans of the past and an entire new generation of readers. Description: Almost new, lightly read. Spine uncreased. Light diagonal crease on front cover. Small red line on top edge near spine. Text clean. 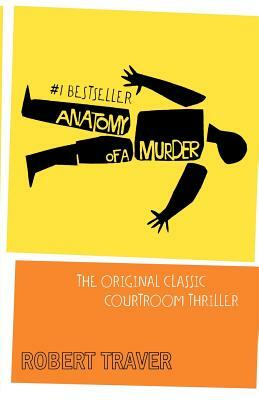 The famous thriller that pioneered the genre of US courtroom drama. Author's name is pseudonym for a Michigan judge. Keywords: Fiction. Crime. Courts. Trial. Murder.